Within the Minnesota portion of Interstate State Park lies the informally named 504 million year old Mill City Conglomerate. 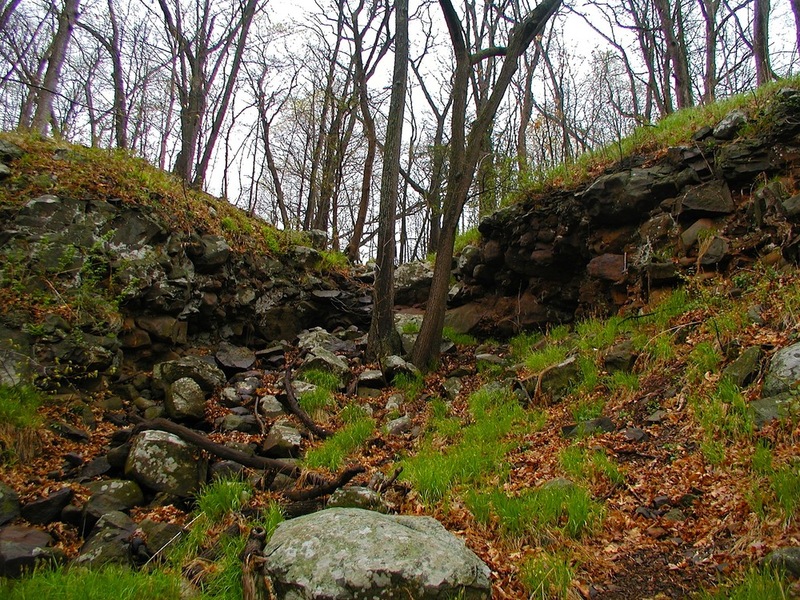 The picture above shows one of the outcrops of the conglomerate found in notches exposed through erosion. 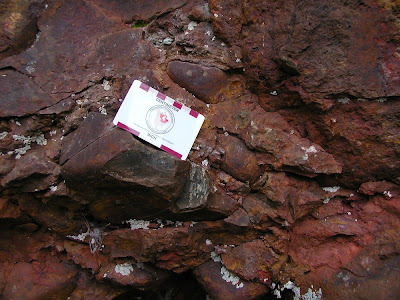 The conglomerate consists of basalt boulders cemented together by a reddish matrix of sand and silt. 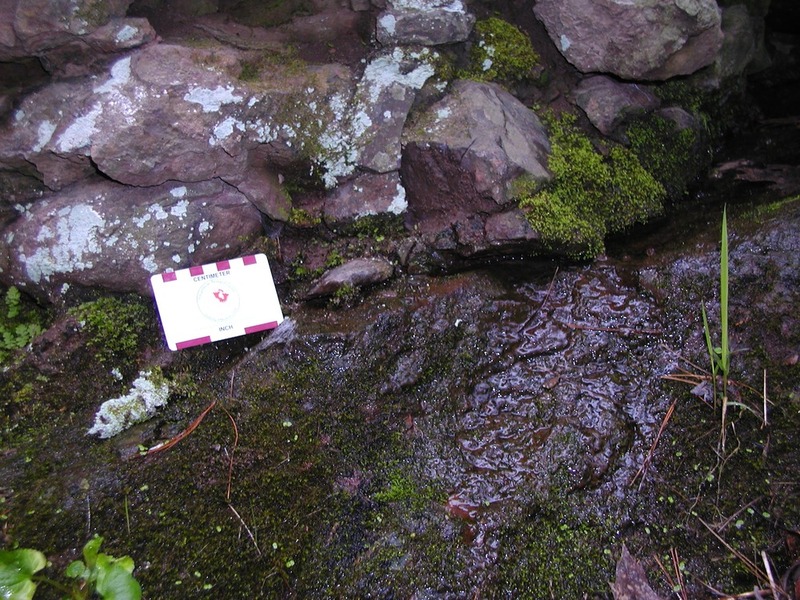 The size of the basalt boulders and rounded edges indicates a high energy environment during deposition, though some fossils of trilobites and brachiopods have been found in the conglomerate. Quite likely, the conglomerate was deposited on the shoreline of the Cambrian seas near basaltic islands. The basalt is part of the 1,100 million year old Mid-Continent Rift System. Not far from the campground, the contact between the 504 million year conglomerate and the 1,100 million year old basalt. 600 million years of time is missing between these two rock types.